Coombe Trenchard is an Edwardian house nestled on the fringes of Dartmoor in the west of Devon, offering exclusive use of a most charming and characterful home with many delightful features, telling of its original design by Walter Sarel for the purpose of entertaining. Owners Sarah and Philip Marsh have lovingly restored this Arts and Crafts beauty - and they enjoy sharing it with others on carefully selected dates throughout the year. Couples really will be spoiled for choice when planning a wedding at Coombe Trenchard - the main House, Coach House and Courtyard, Italian Terrace, Clock Tower, stunning gardens, woodland, and acres of glorious grounds has so much to offer. From a small relaxed ceremony in the Morning Room or outside under the Italianate Tower, to a larger gathering in the Grand Hall, Coach House or perhaps even a marquee - there are 12 different locations throughout our country house wedding venue and gardens for couples to host an exquisite civil ceremony and reception. A day to treasure. Accommodation is available for the bridal party and their chosen guests - to include Coombe Trenchards romantic three-roomed principal suite decorated in the Edwardian style with an elegant bathroom, a light and spacious ‘getting ready room’ and a relaxing master bedroom - creating the perfect setting to relax, retreat, and prepare for such an important day. Jugs of seasonal garden flowers, fizz, and many special touches will welcome you. 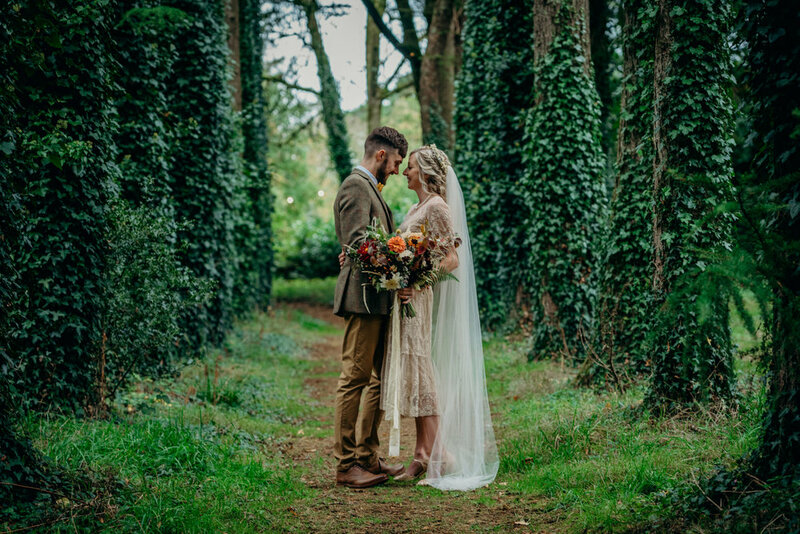 Coombe Trenchard welcomes a carefully selected limited number of weddings and special occasions each year - ensuring the highest personal attention to detail, absolute dedication, and a tailor made experience designed especially for each couple. Sarah has a wealth of ideas to share, and an enviable collection of in-house props and special touches, enabling couples to make the most of their time at Coombe Trenchard as their dream day comes to life. From the handling of that first exciting enquiry, to providing limitless assistance and guidance throughout the planning journey whilst arrangements take shape, to being there and of great comfort on the day, co-ordinating discreetly and seamlessly. 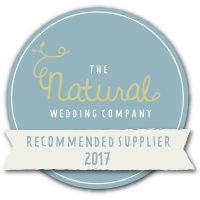 Sarah’s warm welcome, calm and caring hands allow Coombe Trenchard couples to be carefree on their special day. Each booking will be subject to a bespoke quotation, prepared by Sarah. Couples have the opportunity to host their wedding in the following ways at Coombe Trenchard. ~ OR A one or two day mid-week summer wedding with or without accommodation. Variables to this will be considered subject to the discretion of Sarah and Philip. Special requests for late spring or early autumn dates may also be possible. Emily & Bob’s gorgeous September Wedding at Coombe Trenchard - with film produced by Sam Brown.